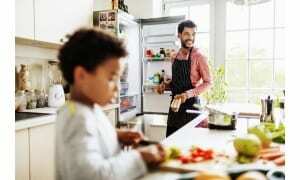 Top Five Cheap Fridge Freezers - Which? From affordable American fridge freezers to inexpensive integrated models, we round up the top five cheap fridge freezers for your needs. Whatever type of fridge freezer you’re after, find the best one for keeping your food fresh and nutrient-rich – check out our fridge freezer reviews. It can be hard to find an affordable fridge freezer that’s also great at chilling and freezing your food. Our rigorous testing has uncovered some terrible models that take too long to chill and freeze, which won’t keep food at its freshest - and these models are often from budget brands. Fortunately though, our rigorous testing has also revealed a number of models that are great at the basics and won’t break the bank. So, whether you’re after a spacious American-style fridge freezer, a small model for a compact kitchen, or an integrated model that you can disguise behind a cupboard door, we’ve got a great model for you. To help you find the best-value fridge freezer for your needs, we’ve rounded up high-scoring models in five different categories: Best cheap fridge freezer, Best cheap American fridge freezer, Best cheap high-tech fridge freezer, Best cheap integrated fridge freezer and Best cheap compact fridge freezer. So whichever type of fridge freezer you want, we can help you pick the perfect model for your budget. 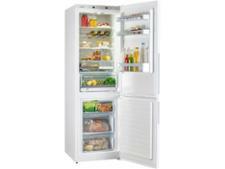 This impressive fridge freezer is a great home for your food and a bargain for the price. It sailed through our tough chilling, freezing and temperature-stability tests and it's energy efficient, too. While some of the storage features could be slightly more user-friendly, this fridge freezer is still easier to live with than may we see. The average price of the American fridge freezers we've tested is £1,000, with the most expensive costing more than £2,000.This excellent model is better than almost all of them and costs a fraction of the price. You should be able to fit 10 supermarket carrier bags of food in the spacious fridge and you can count on this fridge to rapidly chill all of it, helping to maximise the freshness of your food. If you don't want to spend more than £350 and aren't bothered about having loads of the latest features, this frost-free fridge freezer is well worth considering. It's only 55cm wide so you don't get loads of storage space, but the fridge and the accuracy of the thermostat setting are exceptional. In fact, this cheap fridge freezer didn't do poorly in a single one of our tough tests, making it a good all-rounder for the price. Built-in fridge freezers tend to cost more than freestanding models - the average price of the ones we’ve tested is £676 - making this model a bargain if you’re set on hiding your fridge freezer behind a kitchen cupboard door. It just misses out on our Best Buy recommendation but you can be confident that it will chill and freeze rapidly to help keep your food in tip-top condition. It’s quiet, too, so you’ll hardly know it’s there. Fridge freezers seem to be getting ever larger - some American models now contain close to 500 litres of usable space, which is gargantuan. 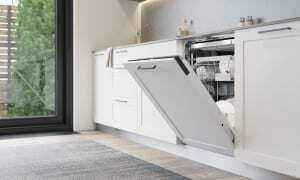 But what if you don’t want that much space, or have a height restriction in your kitchen? Well, smaller fridge freezers are still available, but we’ve found great ones hard to find. 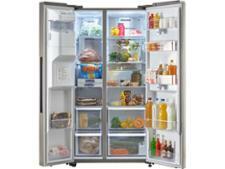 This Liebherr fridge freezer is one of the exceptions to the rule. It isn't poor at anything, is extremely efficient for its size and keeps the temperature steady whatever the temperature in your kitchen. To find the best fridge freezers, we spend nine weeks running dozens of tests, checks and measurements on each model in our temperature-controlled test labs. We crank the room temperature up to 32°C and then plunge it down to a chilly 10°C – to see whether fridge freezers are able to keep their contents safely chilled and frozen in variable room temperatures. How fast do they chill and freeze? We also measure how fast they are at chilling and freezing. 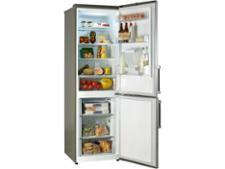 The faster a fridge freezer cools, the longer food will last and the fresher it will be when you defrost it. We also measure how much electricity each fridge freezer uses to chill, freeze and run, which helps us separate the cheap-to-run models from the energy-guzzlers. To find the fridge freezers that are easy to use and clean, we run tests to see how smoothly the drawers slide and how sturdy they are. We even spray cherry juice in the fridge, let it dry to a sticky mess and then rate how easy it is to clean, to see how easy you'll find it to clean up food and drink spills at home. What type of backing do they have? We constantly monitor and vary the assessments that underpin our reviews to take account of changing standards and areas of concern. In September 2017, we called on manufacturers to immediately stop producing refrigeration appliances with flammable. Since then, and in the apparent absence of any action from the newly-created Office for Product Safety and Standards (OPSS), we’ve been conducting fire testing on refrigerator backings. So far, we’ve tested backing samples from more than 80 different refrigeration appliances, across every refrigeration brand that we have on our site. We applied an open flame to each sample and any product that was unable to withstand the flame for 30 seconds has been deemed unsafe and has been made a Don’t Buy. 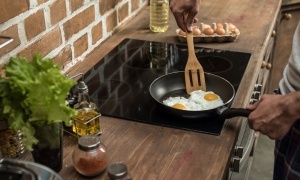 Hundreds more products have also been made Don’t Buys because the manufacturer either confirmed, or our own research indicated, that the backing on these products was identical to a product we tested and found to be unsafe. For all the top-scoring models, check out our list of the best fridge freezers.